A Wonderful World. Catherine Coutier Gallery, Houston, Texas, USA. Forms of Japan. Seibu Shibuya Gallery, Tokyo, Japan. Forms of Japan. Gallery Art Unlimited, Tokyo, Japan. Conversation with the Landscape. Galleria dell' Incisione, Brescia, Italy. Emilia Romagna. Gallery 13, Reggio Emilia, Italy. The Liquid Gaze. Museu Arxio Municipal, Vilassar de Dalt, Spain. Mont Saint Michel. Salle des Hotes, Abbaye du Mont Saint Michel, Normandy, France. Forms of Japan. Cultuurcentrum Mechelen, Mechelen, Belgium. New Work. Catherine Edelman Gallery, Chicago, Illinois, USA. A Retrospective. Photo Eye Gallery, Santa Fe, New Mexico, USA. Hokkaido. Higashikawa, Hokkaido, Japan. Forms of Japan. Peter Fetterman Gallery, Santa Monica, California, USA. Hokkaido. Shin Sapporo Gallery, Sapporo, Hokkaido, Japan. Michael Kenna. Robert Mann Gallery. New York, USA. The Roads. Gallery K.O.N.G., Seoul, South Korea. France. Beetles and Huxley Gallery, London, England. L'Arbres. Troncin-Denis Gallery, Nancy, Lorraine, France. Gallery 13, Reggio Emilia, Emila Romagna, Italy. Between Mountains and Lakes. Bernheimer Gallery, Lucerne, Switzerland. Forms of Japan. Dolby Chadwick Gallery, San Francisco, California, USA. Silent World. FO.KU.S. Foto Kunst Stadtforum, Innsbruck, Austria. Forms of Japan. Patricia Conde Galeria, Mexico City, Mexico. Forms of Japan. Paul Paletti Gallery, Louisville, Kentucky, USA. Forms of Japan. G. Gibson Gallery, Seattle, Washington, USA. Forms of Japan. Albrecht Gallery, Berlin, Germany. Forms of Japan. Bernheimer Gallery, Lucerne, Switzerland. Forms of Japan. Sabrina Raffaghello Galleria d’Arte, Milan, Italy. A Journey from the Heart. S & S Gallery, Nantong, China. Forms of Japan. Galerie Box, Brussels, Belgium. 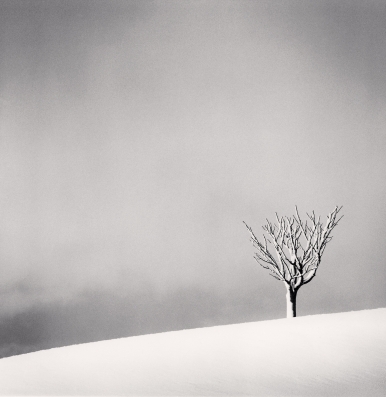 Michael Kenna - Haiku exhibition, Samuel P. Harn Museum of Art, Gainesville, Florida, USA. A Journey Through Asia. National Institute of Design Gallery,  Ahmedabad, India. Point Light Gallery, Sydney, Australia. Levallois Expose Son Patrimoine d’Oeuvres Contemporaines. Galerie de L’Escale, Levallois, France. The Photograph. Selected works from the 19th, 20th and 21st Century. G. Gibson Gallery, Seattle, Washington, USA. Gelatin Silver Session. Irie Taikichi Memorial Museum of Photography, Nara, Japan. 25. G. Gibson Gallery, Seattle, Washington, USA. Reflected: Our Fifteen Year Retrospective. Paul Paletti Gallery, Louisville, Kentucky, USA. Treasures from the Scripps Collectors’ Circle. Williamson Gallery, Scripps College, Claremont, California, USA. Comme une Respiration. Musee d’Art Moderne et Contemporain, Strasbourg, France. Poetry of Place. Cincinnati Art Museum, Cincinnati, Ohio, USA. New Visionaries: Photographers Who Bridge Art and Commerce. Gallery at the School of Design, Mount Ida College, Newton, Massachusetts, USA. 8th Gelatin Silver Session exhibition, Axis Gallery, Tokyo, Japan. Dwell. G. Gibson Gallery, Seattle, Washington, USA. Festival du Regard. Parc du Château de Saint-Germain-en-Laye, Yvelines, France. B/W photographs from the 60s till today. Thomas Luttge, Gabor Kerekes, Michael Kenna. Albrecht Gallery, Berlin, Germany. Animal Encounters. Weston Gallery, Carmel, California, USA. New York. PDNB Gallery, Dallas, Texas, USA. Michael Kenna / Toshio Shibata / Mika Yoshizawa. Gallery Art Unlimited, Tokyo, Japan. Ces Quelques Fleurs. Box Galerie, Brussels, Belgium. Territoires de l’Imaginaire, Galerie d’Art Contemporain, Saint Die-des- Vosges, France. The Photographers 2015. Beetles and Huxley Gallery, London, England. Bloom: Floral Studies. Weston Gallery, Carmel, California, USA. Into the Woods. Blue Lotus Gallery, Hong Kong. The Art of the Louvre's Tuileries Garden. Modern Classics. Point Light Gallery, Sydney, Australia. Night & Day 2014. Gallery Art Unlimited, Tokyo, Japan. Agua Dulce. Museo Centro Gaiás, Santiago de Compostela, Spain. Halcyon Days. Portland Art Museum, Portland, Oregon, USA. 150 Years of Bernheimer. Bernheimer Gallery, Munich, Germany. New Ideal Photography. Sabrina Raffaghello Arte Contemporanea, MIlan, Italy. Collector's Choice. Cummer Museum, Jacksonville, Florida, USA. The Art of the Louvre's Tuileries Garden. Portland Art Museum, Portland, Oregon, USA. Le Fonds Photographique. Carrre Amelot, La Rochelle, France. The Collector's Eye: The Maloney Collection. FotoFest, Houston, Texas, USA. The Answer is Blowing in the Wind. In Extremis, Strasbourg, France. The thought that counts. Elipsis Gallery, Istanbul, Turkey. Journey of the Heart: Straight Photography 1839-2014. National Art Museum of China, Beijing, China. The Photographers. Beetles and Huxley Gallery, London, England. L'Orlando Furioso. L'Arte Contemporanea legge L'Ariosto. Palazzo Magnani, Reggio Emilia, Italy. Regards Croisés sur 60 ans de Photographie, Le Royal Monceau - Raffles Paris, France. 10 Ans. 1999-2009. Parcour d'Une Collection, Theatre de la Photographie et de l'Image, Nice, France. On Site / In Site:  Selections from the Permanent Collection, De Saisset Museum, Santa Clara University, California, USA. Objectif Paris, (Traveling exhibition); National Council for Culture, Kuwait City, Kuwait; Amman Town Hall, Amman, Jordan; Khan Assad Pachaa, Damascus, Syria; Saint Joseph Crypt, Beirut, Lebanon; French Cultural Center, Sana'a, Yemen; Alliance francaise, Delhi, India.